Dr. Jeffrey Dornbush is a graduate of the New York University College of Dentistry with concentrations in complete dental prosthodontics and gnathological (performing very exact dentistry, constantly rechecking work as it is done) principles. For over 25 years, Jeff Dornbush has built his practice and experience on those very practices – attention to detail, everything done right the first time, even bringing out the artist side of him, because smile restoration is an artistic endeavor, not just a dental procedure. After moving to Boston, he expanded on his knowledge and techniques under the guidance of Dr. Gerald Kramer of the Periodontal Prosthesis Program. As his experience and knowledge grew he, in turn, became a mentor to associates, teaching at the Institute for Advanced Dental Studies, and lecturing domestically and overseas for 3i (Implant Innovations, Inc.). 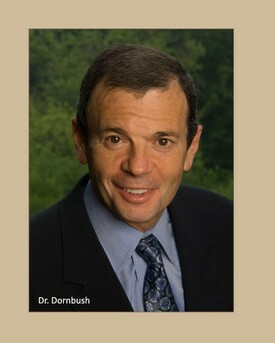 Dr. Dornbush has accumulated over 25 years of clinical experience in aesthetic, cosmetic, restorative and prosthetic dentistry. He has published articles on interdisciplinary implant treatment and conducted hands-on courses both in the United States and Europe. He has invented such techniques as the “Gold Occlusal Provisional Restoration” which allows patients to transition from a failing dentition to an implant-supported restoration without having to deal with a removable denture during the course of treatment. Dr. Dornbush can honestly say he has walked in his patients' shoes, since he has been treated with orthodontics twice, received four implants, two connective tissue grafts and 22 veneers. He knows exactly what his patients experience is with restorative dental care, and gives him that unique perspective on what goes through a patient's mind when deciding to undergo a restorative procedure. He truly has "been there, done that, and got the smile to prove it!"